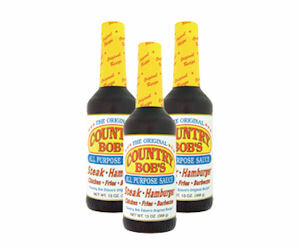 Sign up for their newsletter and get a coupon for a free bottle of Country Bob’s all purpose BBQ sauce. Sauce it up! !